New Delhi: The Supreme Court on Friday asked former Telecom Minister Dayanidhi Maran to appear before CBI for six days, starting 30 November, for questioning in the telephone exchange case. A bench headed by Justice TS Thakur, while extending the interim relief of protection against arrest to Maran, asked him to cooperate and answer the questions posed by the CBI. Maran will have to remain present in the CBI office from 11 am to 5 pm every day from 30 November to 5 December, it said. The court also asked CBI to come before it if the former minister evades the questions and doesn't cooperate during the probe. "However, we will not grant you custodial interrogation at the moment," the bench told CBI. DMK leader Maran had approached the apex court after the Madras High Court cancelled his interim anticipatory bail and directed him to surrender before the CBI. 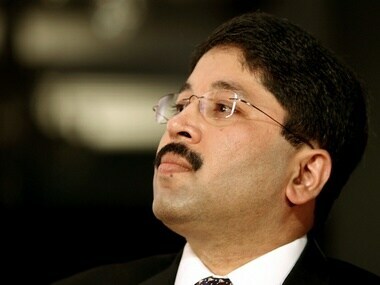 CBI had registered an FIR against Maran and others alleging that over 300 high-speed telephone lines were provided at his residence in Chennai and extended to his brother Kalanithi Maran's SUN TV channel to enable its uplinking when Dayanidhi was telecom minister from 2004-07.